In 1917 Britain and France defeated the Ottomans in WWl and did what all victors do–they divided up the spoils of war. The British gave the Jews the right to return to their long sought homeland. The new Jewish area, called “Palestine” by the British, consisted of the land of Israel AND Jordan. But despite all those newly created Arab nations, the Arabs vehemently protested against Israel’s new land. So in 1946, the British divided Palestine, the land given to Israel, into two parts. West of the Jordan River was for the Jews and called Palestine. East of the Jordan River was for the Arabs and called Transjordan. Israel’s one-day-old nation, with no standing army and no functioning government, had a total of 700,000 men, women and children to defend their new country. During Israel’s fight for her independence, Arab leaders told the Arab population in Israel to flee. They promised to push Israel into the Mediterranean Sea and then they could come back and live in the Israeli houses. The Arabs that didn’t leave Israel were made Israeli citizens and today have Israeli passports. 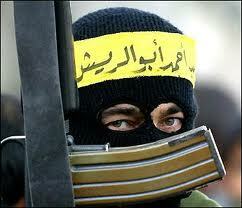 They enjoy protection, stability and the highest standard of living for a middle class in the entire Arab Middle East. Those that fled Israel are what today are called “Arab refugees.” Their Arab brothers refused to absorb them into Egypt and/or Jordan as citizens. Israel however, absorbed some 3 million Jews that were expelled from Arab countries. The media gave them the name “Palestinians,” but as stated above, “Palestine” was a name given for the Jewish homeland. An “Arab Palestine” has no history, no language, no distinct culture, nothing. They are simply Jordanians or Egyptians and they should be citizens in those countries. But Arab leaders have made a political football out of the situation. They claim they need the land for a Palestinian State, but they had full control of the land from 1948 to 1967, 20 years, and did nothing. Only after Israel recovered the land in 1967 did the issue of needing the land for a “Palestinian State” come up. Today, “Arab Palestine” has pretty much a non-economy, no manufacturing, no exports, no monetary system and exists only by the billions Europe and the U.S. give them in foreign aid. Only a fraction of that foreign aid actually gets to the people, most falling into the personal hands of Arab/Muslim leaders. The Palestinians have never recognized Israel’s status as a sovereign nation nor wavered from their documented intent to wipe Israel from the face of the earth. The Palestinian Authority does not control any part of the West Bank to the exclusion of Israeli authority, and it exercises no control at all in the Gaza Strip–instead it is still run by the terrorist organization Hamas. The United Nations (General Assembly or Security Council) has no power to create states or to grant formal “recognition” to an aspiring state. The right to recognize statehood is a fundamental attribute of sovereignty and the United Nations is not a sovereign.